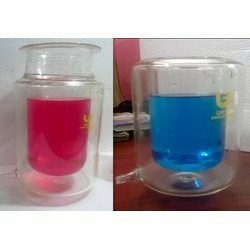 All our products Industrial And Labortory Glassess are made of best quality raw material such as borosilicate glass and other essential raw material. Being crack-resistant, heat resistant and chemical resistant, our offered products find applications in Chemical Plants, Pharmaceutical Industry and Hospitals. Apart from this, our products are used for storing Bulk Drugs and for conducting various experiments in Laboratories of schools and colleges. 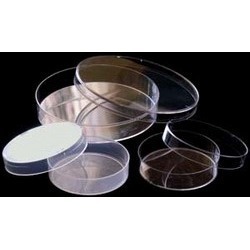 We bring forth for our clients, a wide assortment of Membrane Filter Holder Milli pore Type, which is appreciated for the durability and optimum level performance. These products are manufactured from quality glass to with stand higher temperatures. 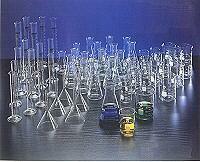 Our products are used for specific application in chemical labs and industries. The quality norms are taken care of by our team of experts at each and every step. We offer a comprehensive range of Double Surface Condensers is considered as a highly efficient condenser which has a large cooling surface. It comes with detachable plastic screw thread connectors which provide trouble free and safe attachment of flexible tubing. The outer cooling surface helps avoid the creeping out with low boiling liquids and inner surface gives a baffle effect. This product is highly efficient and durable. We are efficiently meeting the various requirements of chemical industry by offering a wide variety of Glass Pilot Plants. Manufactured using premium quality glass and requisite material, these dimensionally accurate and precision engineered plants are at par with industry standards and norms. Our offered products are rust proof, highly durable and have high tensile strengths. 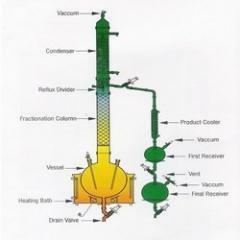 Further, we can customize these plants according to the specific requirements of our clients. Multipurpose R & D Unit. Glass Assembly with SCADA System. 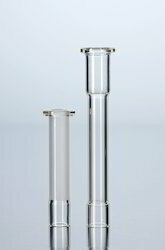 Our organization is reckoned as a prominent manufacturer and supplier of a wide range of Glass Laboratory Cylinders, that have been made from some of the best quality raw material. This material had been procured from reliable vendor sources and is supplied to our customers on the most comprehensive and safeguarded packaging. This qualitative range has been made by employing sophisticated techniques and has its varied applications in lab experiments. We have in stock for our clients a comprehensive range of Borosilicate Glass Tubing which is manufactured using high grade borosilicate glass. 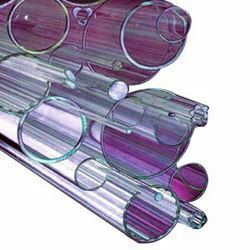 Owing to the quality of the glass, these tubing are resistant to heat and crack. Though these are available in various dimensions and sizes, we can also customize them as per the specifications and requirements of the clients. 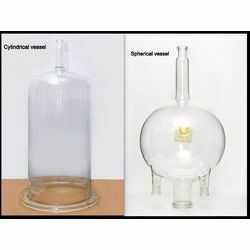 Our organization is engaged in manufacturing a comprehensive range of Glass Vessel which is made using high grade glass. These vessels are widely used in various industries to meet different applications. We provide these vessels that have the capacity of 50 liters & above and require support in a vessel holder. Along with this, we also hold expertise in providing accessories such as stirrer, vessel holder, dip pipe, bath, gas sparger, thermometer pocket, decanter and other on special requests. In addition, more nozzles can be provided to the clients as required by them. 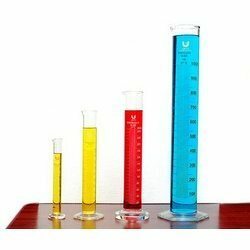 We manufacture an ample range of Measuring Cylinder, which is cylindrical in shape and are available in different sizes of 100ml, 200ml, 500ml and 1000ml. 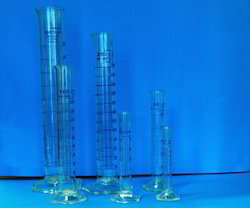 These measuring cylinder are use to measure the quantity of chemicals. Our measuring cylinders are made with glass of standard quality and have accurate measuring volume. As the manufacturer we are engaged in organizing research and development activities to be aware about the need of our customers. 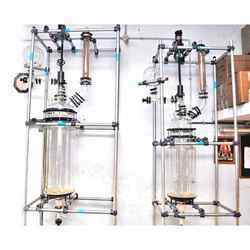 We are a trusted manufacturer of Coil Condensers which is a scientific laboratory glassware known for its durability and long lasting quality products. We present an extensive range of Graham type coil condensers which have a spiral coil running the length of the condenser. 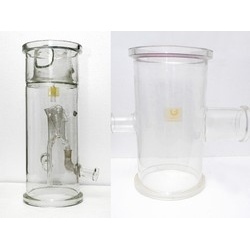 These Graham Condensers are made of borosilicate glass and Coiled inner tube which provides better cooling surface. 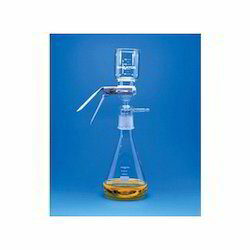 Our offered range of Laboratory Funnel has been designed with precision and is used in a number of labs for providing exceptional results in chemical experiments. 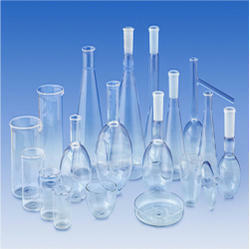 These funnels are made of best quality glassware and are also available with us in a wide variety of designs and models. These models and designs are all as per the predefined industrial norms. As its features these funnels can bear abrasive conditions of chemicals, heat and high temperatures. Lab Glass used in educational institutions, R&D centers and industries. They can be conveniently and quickly modified according to specific process needs due to modular construction, borosilicate glass offers additional benefits of universal corrosion resistance, visibility and cleanliness. 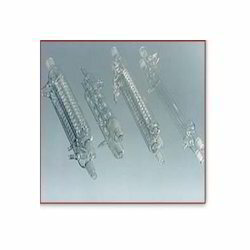 We are instrumental in offering a comprehensive plethora of Scientific Thermometer. 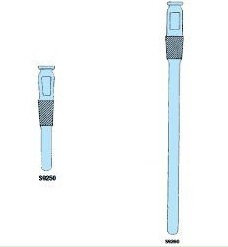 These thermometers are precisely designed by our diligent experts considering the set industry standards. 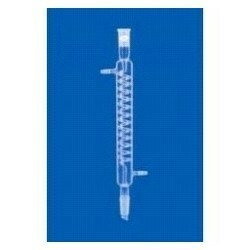 Our thermometers are manufactured employing superior quality material, which is procured from the renowned vendors of the market.